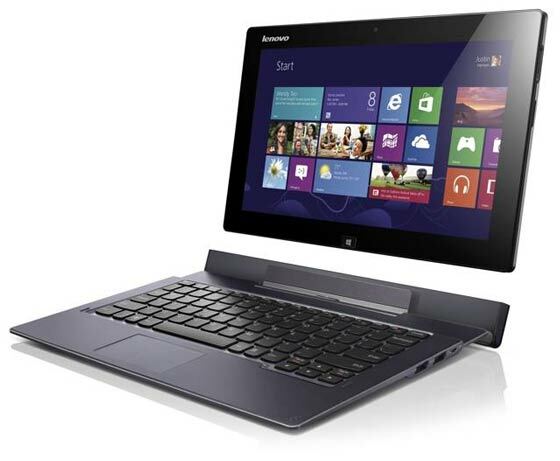 Here we have another laptop/tablet hybrid convertible on show at the CES 2013. This effort, from Chinese manufacturer Lenovo, has a new approach in the way it converts between form factors using a painful sounding “rip and twist” action. 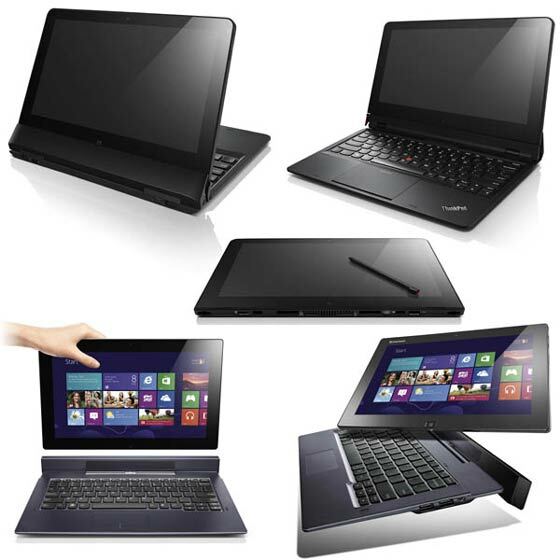 The Lenovo ThinkPad Helix can be specified with an Intel Core processor up to i7 and will be made available from February 2013 onwards. Now for the bad news; prices for the Helix range start at US$1,499. The Lenovo ThinkPad Helix design is probably better for portability than the LG Tab-Book H160 we featured earlier today. You have the option to simply leave the keyboard unit/dock behind, so have a much lighter portable tablet device. The obvious drawback is that when you really want the dock/keyboard it may be on an occasion you’ve left it somewhere else. The Lenovo ThinkPad Helix “is the premiere convertible for business users, with powerful processing and revolutionary flexibility,” according to Lenovo’s marketing material. This target market will pay quite a wedge, think Lenovo’s business analysts, as the base model has a starting price of US$1,499. Except for the price the Helix has a lot going for it. In summary; you have a choice of one of Intel’s latest and most powerful processors paired with up to 8GB of RAM, the bright 1080p IPS screen is protected with Gorilla Glass and there are a good selection of ports and connections with networking options including mobile 4G LTE. With all the ports on offer it seems strange that the Helix appears to eschew the convenience of an SD card slot. On its own the tablet has just 5 hours of battery life, pairing with the keyboard dock doubles that. Earlier today HEXUS had a look at another of Lenovo’s offerings at CES, the IdeaCentre A730 table top PC (27-inch tablet). More info about that can be found in a press release from Lenovo here. Also Lenovo has released lots of other Windows 8 touch enabled laptops and all-in-ones, further details about those devices can be found here.